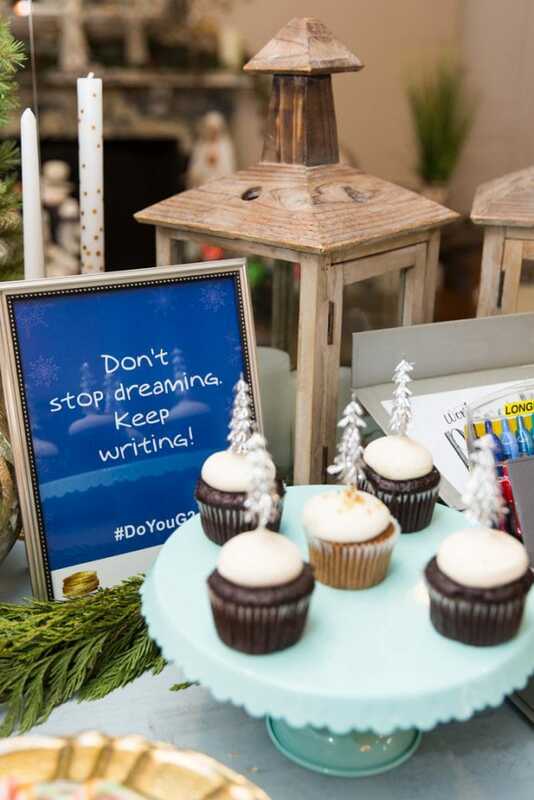 Last week I had the opportunity to attend an event in Sacramento for Pilot Pen. 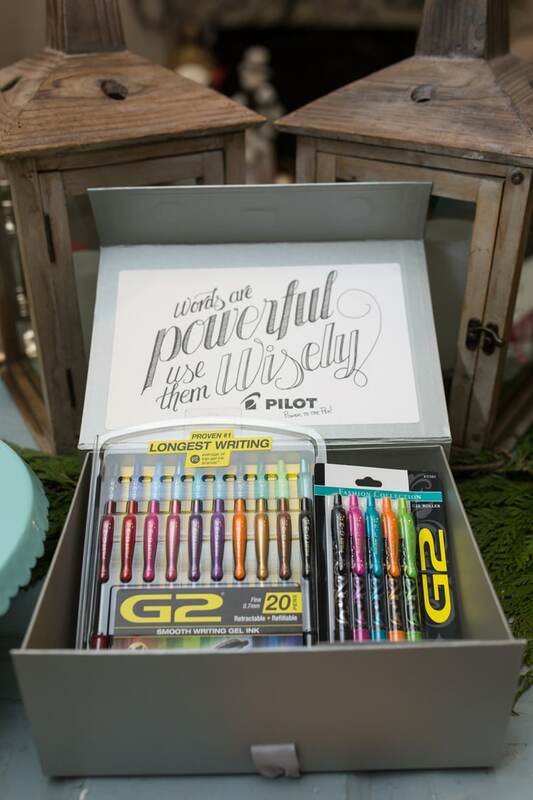 I got to meet up with some other local bloggers at the event and learn more about the Pilot G2 gel pen. 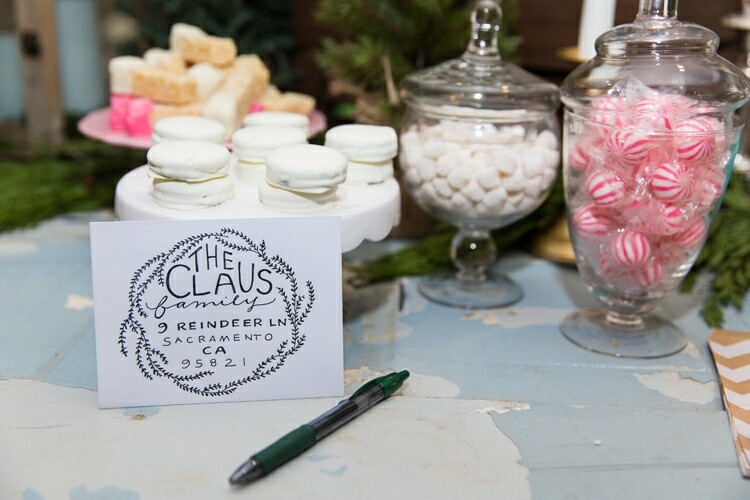 I had a great time mingling with the other bloggers and was inspired to make some cute gift tags for Christmas! 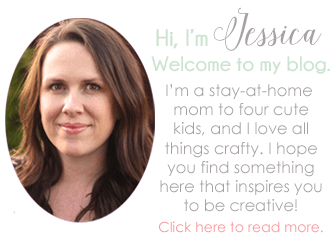 This post is sponsored by Pilot Pen and Massive Sway, but, as always, all opinions are my own. 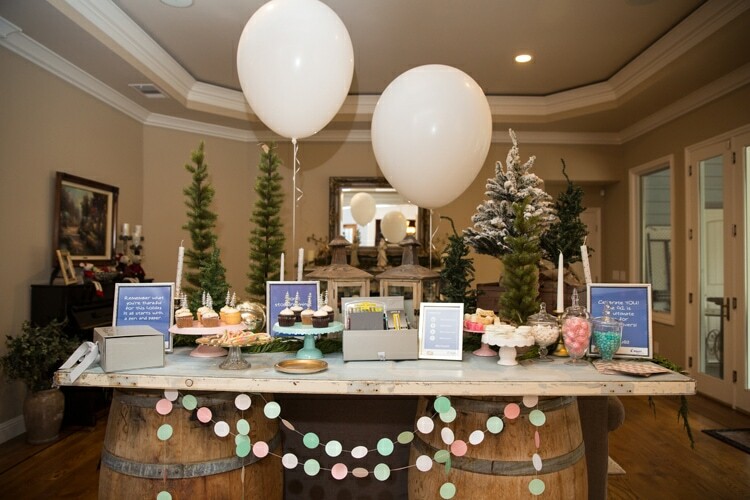 I loved all of the decor at the event! 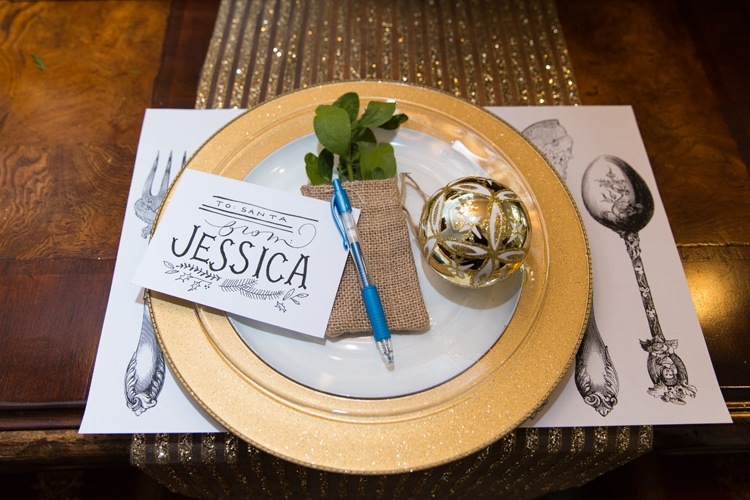 Each of our plates were set with a handwritten envelope with our names on them. It made me feel so welcome! We got to see a live demonstration from Emily Van Orden on how to do faux calligraphy, and I posted a video of it on my Facebook page last week. It was really neat to see all of the different things that the G2 gel pen can be used for. I went home with a cute box of the G2 gel pens to test out. 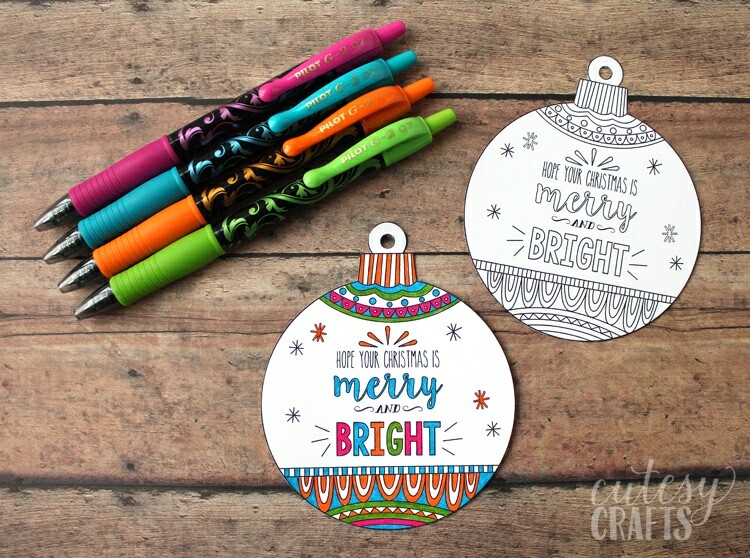 Of course, I needed to test how good they are at coloring, so I made some fun coloring page gift tags. You can print them out for free here. 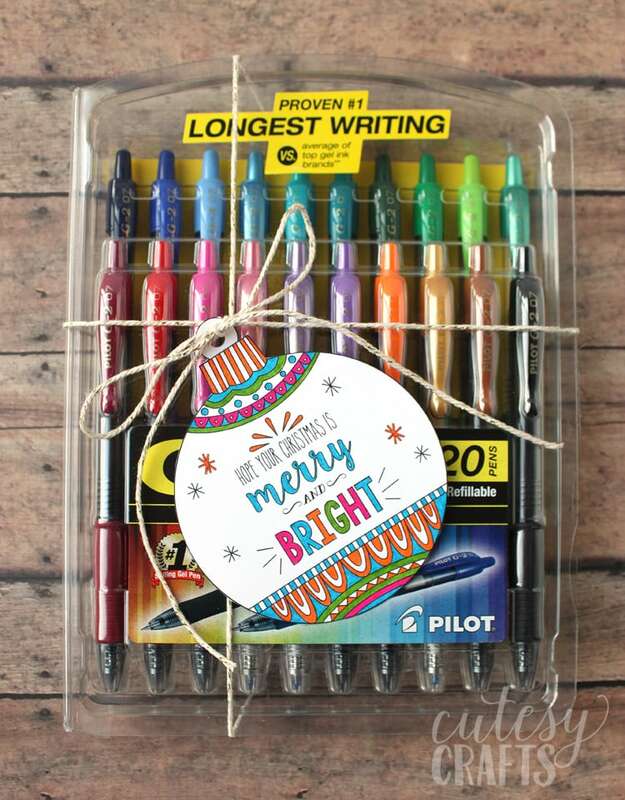 I thought this set of pens would make a nice gift for a teacher, so I wrapped some twine around the package and attached the tag. Look at all of those pretty colors! The G2 gel ink pens have a nice transparent barrel design and comfortable rubber grip. 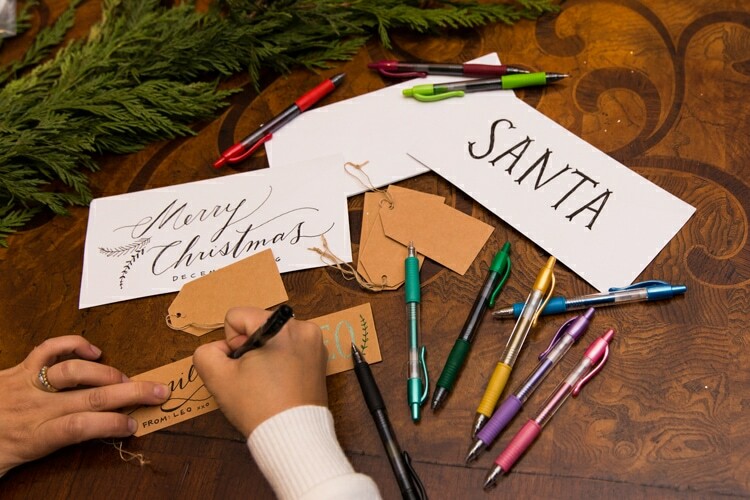 The pen is retractable and features gel ink in 4 point sizes and 15 colors. I really loved coloring with these pens. The ink comes out so smoothly, and the colors are so vibrant! The ink is specially formulated using pigments instead of dyes, resulting in that vibrant, beautiful color. There’s a reason they are, America’s #1 selling, smooth writing and longest lasting gel ink pen. 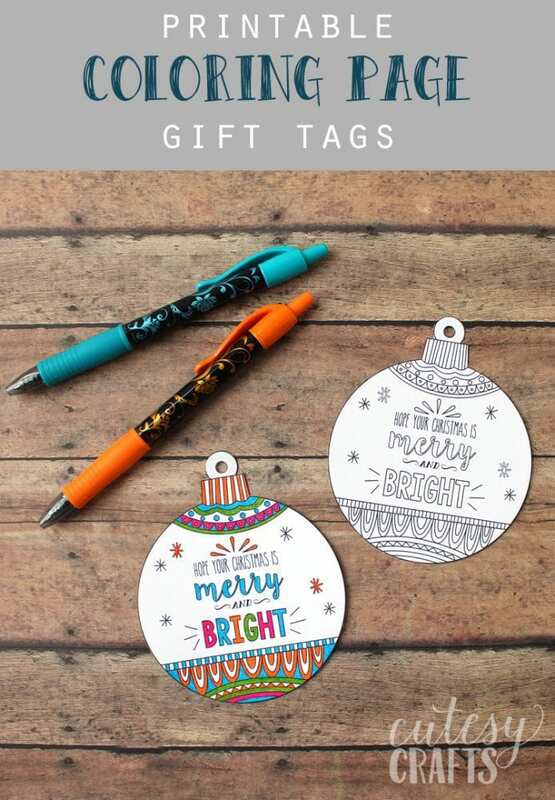 You could also leave the tag uncolored so the recipient can color it with their new pens, or include an adult coloring book for a simple friend or neighbor gift. 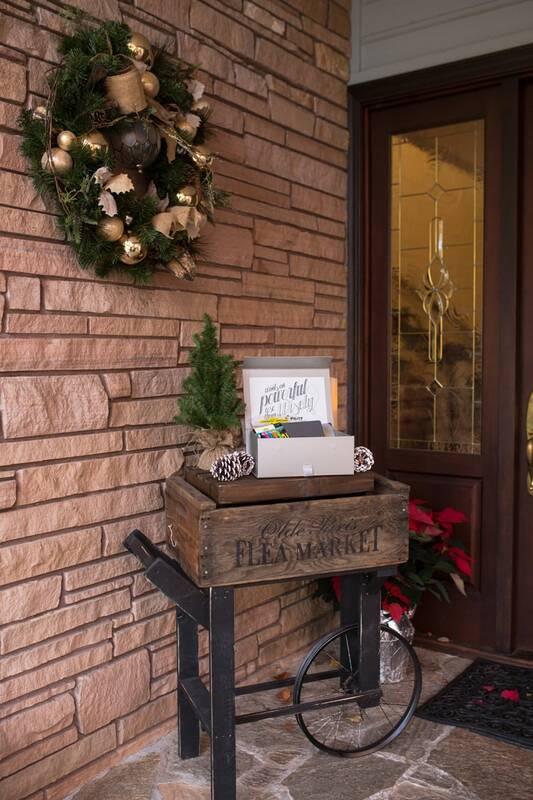 These would also make a great stocking stuffer! 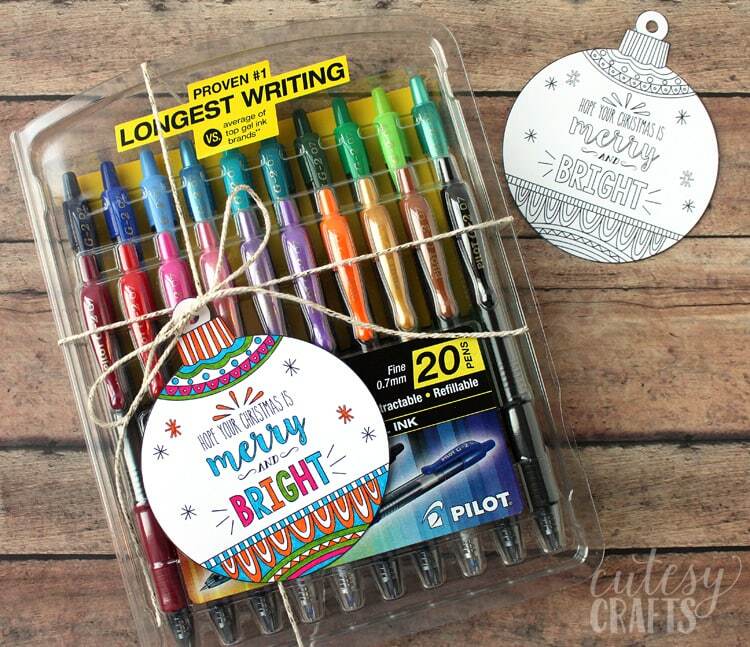 Have you tried G2 gel pens? They can be purchased at Target, online on Amazon, or use coupon code G2SWAY for 20% off ALL G2 products (G2 Fashion, G2, G2 Metallics, G2 Mosaics, G2 BCA, G2 Pro, G2 Limited). 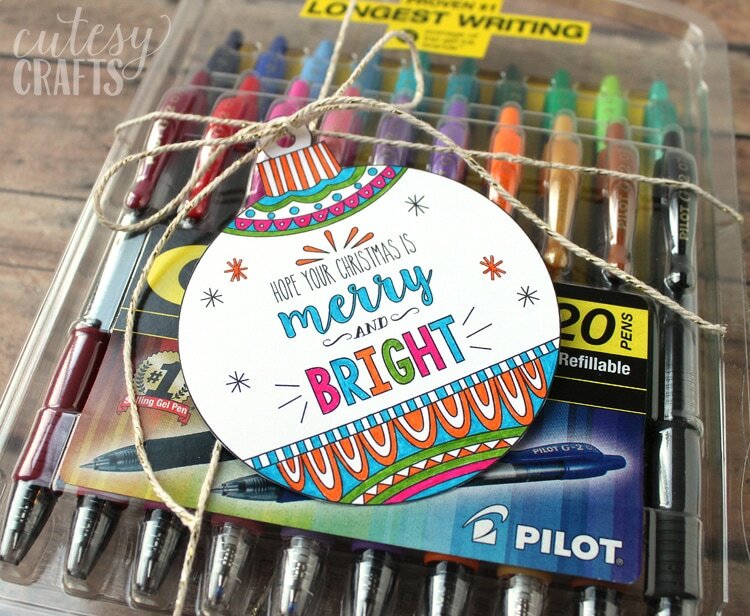 Valid now through 12/31/16 at PilotPen.us. I just love pens and coloring with them!!! I will have to add these to my list of pens to purchase!! Right now my staedtlers are my favorite! !